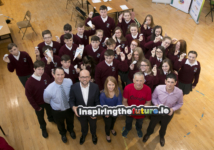 Following on from the success of Inspiring the Future in the UK, South Dublin County Partnership is piloting the Inspiring the Future Ireland in South County Dublin. South Dublin County Partnership is a not-for-profit registered charity keen to work with like-minded individuals and companies to inspire young people to reach their potential. 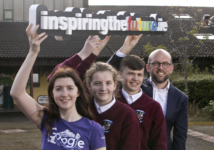 Inspiring the Future Ireland aims to be a free and easy way for thousands of schools and volunteers from the world of work to connect. The project is based on a best-practice model first established in the UK by our charity. Launched on 21 September 2017, Inspiring the Future Ireland have begun connecting schools with volunteers from the world of work. Inspiring the Future Ireland was officially launched at the National Gallery of Ireland. Representatives from a variety of local organisations attended. The first Career Speed Networking event took place at Collinstown Park Community College. This inspiring event saw volunteers from Bank of America Merrill Lynch and Google (to name a few!) chat to students about their jobs and answer their questions. Next to welcome volunteers for a Career Speed Networking event was Deansrath Community College, which saw 22 volunteers inspire students by opening their eyes to the career options available to them. Students from Colaiste de hlde were the next to be treated to an inspiring event when Chamber of Commerce employees visited them to speak about their careers. 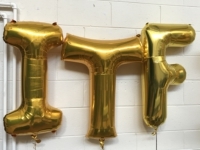 Inspiring the Future Ireland kicked off 2018 with an Inspiring the Future Careers Seminar, hosted by South Dublin County Partnership and the Institute of Technology Tallaght. Over 450 students descended on the campus to be inspired by volunteers from a range of people from the world of work. Pictures: Colm Mahady / Fennells – Copyright© Fennell Photography 2017.